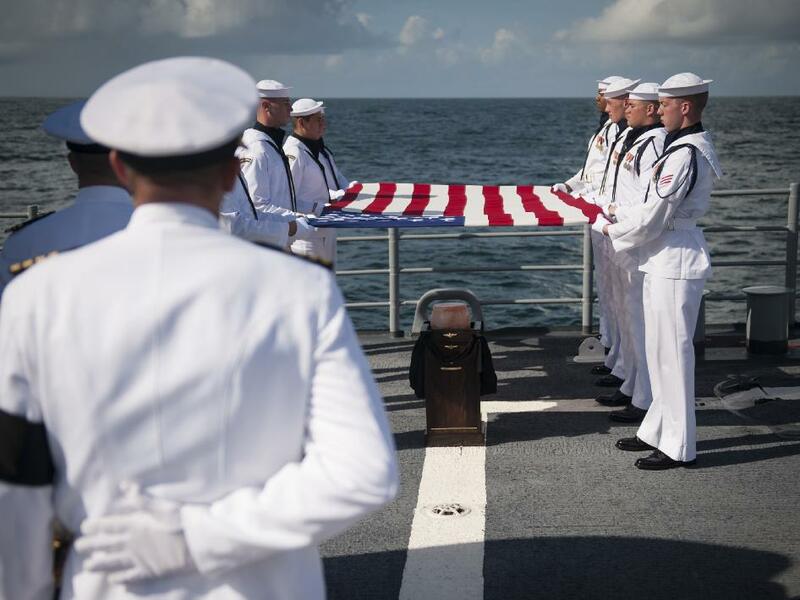 On September 14, Neil Armstrong was buried in a sea service held aboard the USS Philippine Sea. The cremated remains of the first man on the Moon were entrusted to the Atlantic Ocean. US Navy Lieutenant Commander Paul Nagy presided over the burial of Neil Armstrong (Credits: NASA/Bill Ingalls).